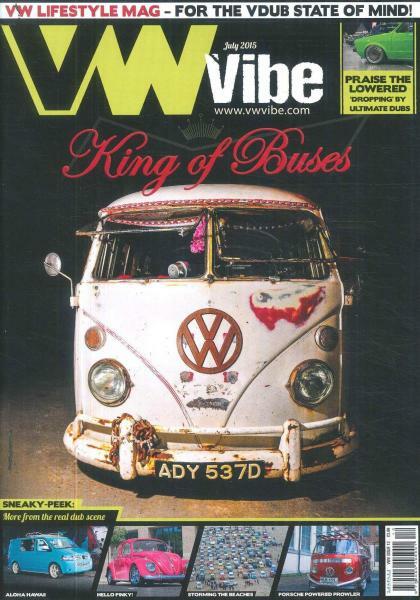 VW Vibe is a brand new 100 page publication for the VDub state of mind! VWVibe is the only VW interest Magazine to reflect the whole VW scene in one place. This magazine is filled with all you need to know about VW and the galaxy of all different VW models and types which are all as varied as the individuals who drive and use them. Share the spirit of fun and adventure that comes part and parcel to the VW scene and it’s many cousin interests, including exploring the great outdoors from inland odysseys to shoreline adventures to simply chilling at show, with a Radio Flyer full of cold ones and a classic cycle propped against the motor. If your driving, owning or simply just enjoying the VW scene then this magazine is for you!